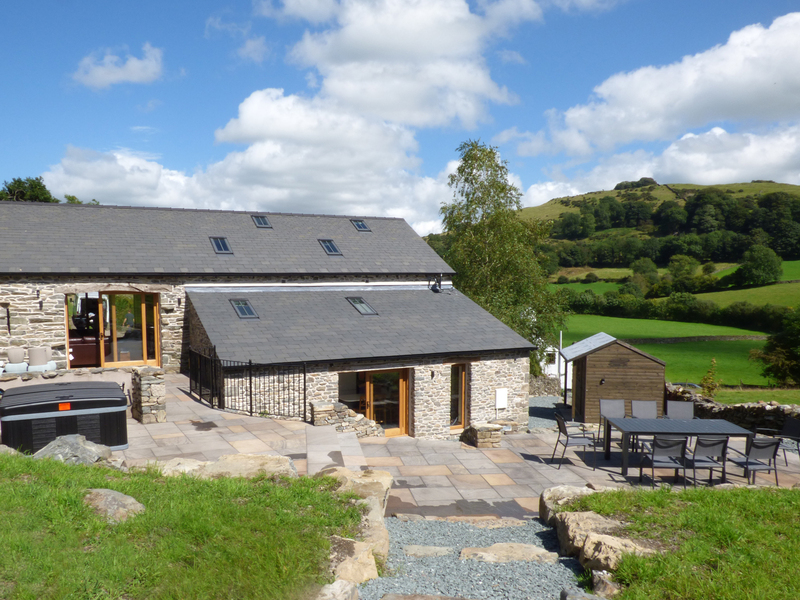 Thornyfield Barn is a detached barn conversion located in the village of Crook near Bowness & Windermere in Cumbria. Hosting four bedrooms; four super king-size, three with en-suite, as well as a shower room, this property can sleep up to eight people. 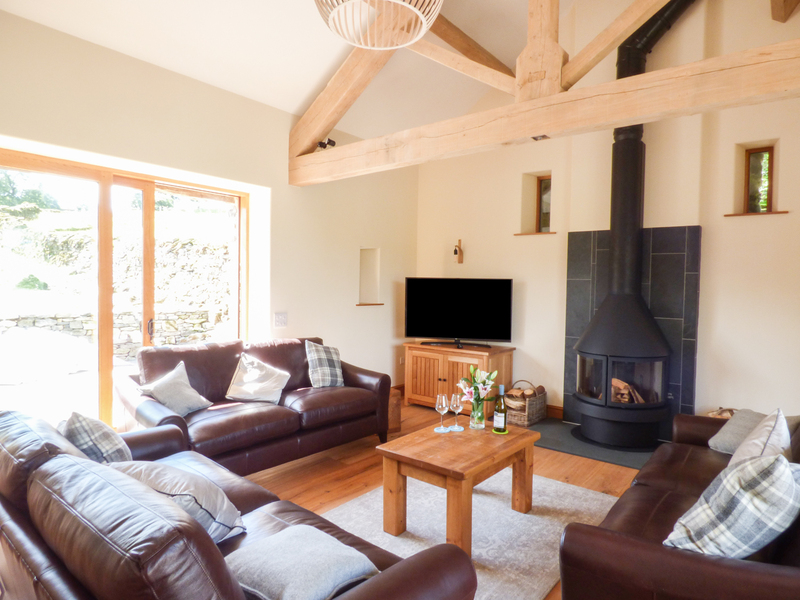 Inside, you will also find an open plan kitchen and dining area, along with a sitting room hosting a wood burner. To the outside, is off road parking for four cars, and a lawned garden to the rear with a patio, furniture and a hot tub. Located in a rural setting with countryside views, Thornyfield Barn is a beautiful cottage in a lovely part of England. Four bedrooms: 1 x ground floor super king-size double (zip/link, can be twin on request), with en-suite bath, shower over, basin and WC, 1 x ground floor super king-size double with en-suite rainfall shower, basin and WC, 1 x super king-size with en-suite walk-in shower, basin and WC, 1 x super king-size (zip/link, can be twin on request). Shower room with shower, basin and WC. Kitchen with dining area and breakfast bar. First floor sitting room with woodburner. External utility. Eco central heating with underfloor heating and woodburner. Electric double oven and electric hob, microwave, fridge/freezer with drinks chiller, washer/dryer, dishwasher, 2 x smart TV with Freesat, Nextflix and Amazon prime TV and music, bluetooth speaker, WIFI, selection of books, games and DVDs. Fuel, power and starter pack for woodburner inc. in rent. Bed linen and towels inc. in rent. Travel cot, highchair and stairgate. Off road parking for 4 cars. Electric car charging point. Lawned garden to the rear with patio, furniture and a hot tub. Two well behaved pets welcome. Sorry, no smoking. Shop 3 miles and pub 1 mile. Please note; No stag/hen party or similar. Note: For a price for 7 nights from Friday 22nd December 2017 please call our contact centre.